My friend Keith over at Fred Flare sent me an email this week requesting some handmade Valentine cards for a good cause and what do you know I just so happen to have some on hand! He’s also hoping you could send some along, read on to hear it straight from Keith…. Okay, so I had this weird idea?? I was thinking about how much I wish we had some rad handmade valentines to feature online & in our new store. And then I thought, well, I know SO many supertalentented people I’ll just ask you all to make something special for us! And then I thought, how AMAZING would it be if we could get lots of people to handmake one-of-a-kind valentines & then donate the proceeds from the sales of these valentines to a good cause? Sounds like fun, right? I do hope you’ll join me in getting crafty to benefit Elder Craftsmen, an organization based here in NYC that brings craft workshops to local senior citizens. Pls allow me to outline how this is gonna work in three easy steps… Simple! You can make it out of anything… Construction paper, collage, paint, crayon, a print of a photo you took, write a poem, make a mix tape, whatever ya feel like! Just make it fun and from the heart and easy to send. Be sure to include a matching envelope. Have fun with that also! Ya can just pop both in another envelope and send it regular mail to SNAIL MAIL VALENTINES c/o fredflare.com, 300F Kingsland Av, Brooklyn NY 11222. Hurry! 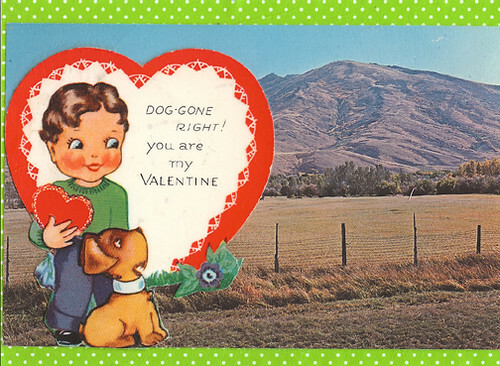 Your valentine MUST be postmarked no later than Thurs, Jan 15th to participate. That’s only 10 days away. DON’T flake on me, peeps! 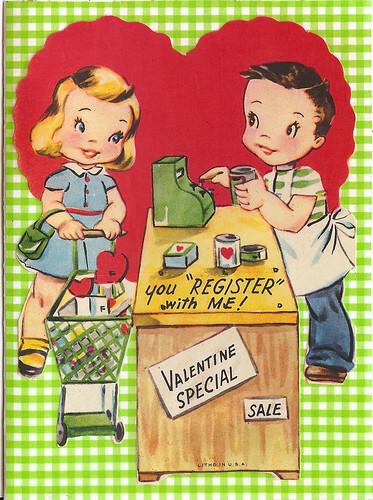 All valentines will be sold online and in our new Brooklyn store for the super friendly price of ONLY $4 EACH and ALL the proceeds from the sales of these valentines will go directly to Elder Craftsmen! Our last charity event raised $5K. Can we beat it? With your amazing creation in the mix, I know we can! I’m sending some of my stash off tomorrow! Need a little inspiration? Did you see the blog post I did about handmade cards? Sure they were Christmas cards, but you can use the same principals for Valentines! Posted January 7, 2009 & filed under Crafty, Paper Crafts, Valentine's Day. oh thats pretty cool! thanks for the link! I’m starting on mine right now! I LOVE THIS- what a fab idea!! Hey girl! Things are rockin’ and rollin’ with the Funky Finds Spring Fling! I would SO appreciate if you could give our show a shout out so more peeps will know about it!!! That is such a fabulous idea! I hope you enjoy the sparkly butterfly!